These are the products that are so good, I not only use every last drop, but buy them over (and over, and over) again! 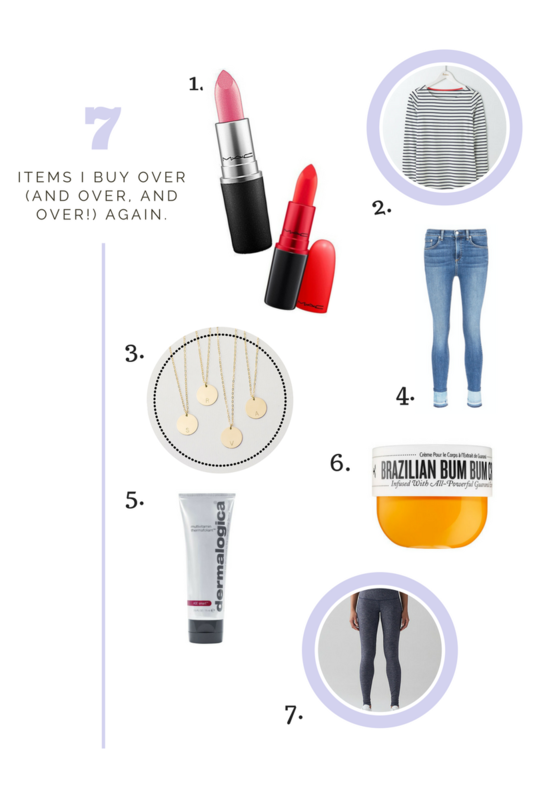 From my favourite lipstick to the perfect pair of slimming jeans, these guys are always on the top of my shopping list. The Greek Islands are beyond incredible, and Mykonos (Santorini's younger, wilder cousin) is truly a special place. 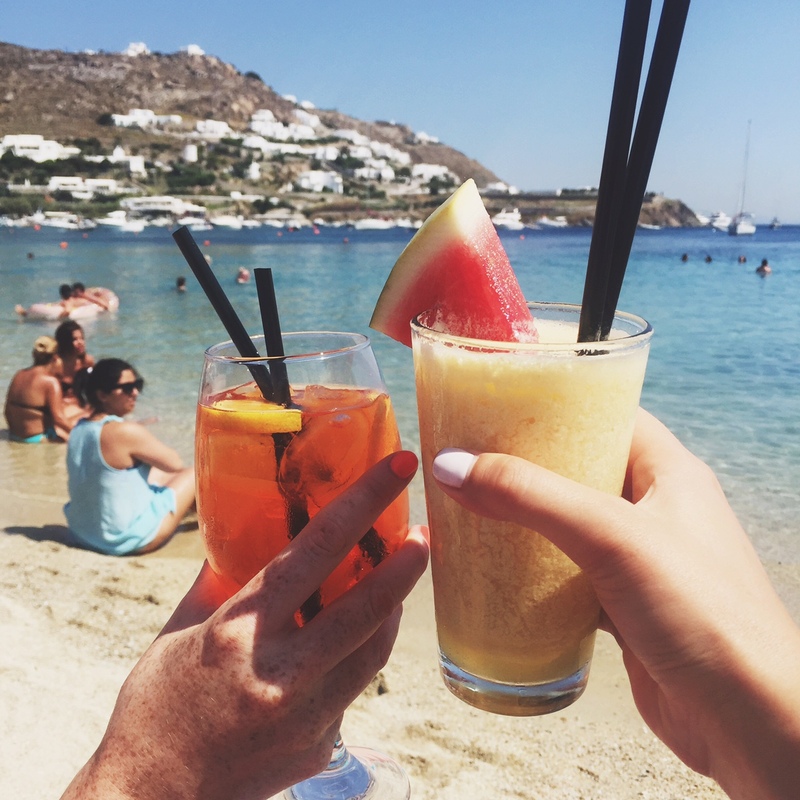 We spent five sun-filled days on the island and I've highlighted our favourite places to eat, drink and of course party! We stayed at Corfos Hotel this trip, and I previously stayed at Villa Del Sol - both hotels are beautiful, affordable and in close proximity to Ornos Beach. If you're planning a trip to Mykonos, plan to get very, very lost. Mykonos town's labyrinth-like layout was built in order to protect its inhabitants from pirates. But this narrow, pebble-paved maze is a fun one to get lost in - it's bursting with beautiful restaurants and cool shops around every corner. Be on the lookout for detailed silver jewelry and handmade leather sandals. I bought a pair of gorgeous Greek sandals at Kampanas... they have hundreds to choose from so don't miss this shop! Our favorite restaurant in Mykonos was Kostantis - it's on Ornos Beach, and I swear this place has the best tzatziki we have ever tasted... and we sampled a lot of tzatziki in five days. Other favourite eats include Kuzina (for the sushi) and Appagio for the romantic atmosphere. Our favorite bar was Interni - it is super expensive so skip dinner and come late for drinks and dancing. We also enjoyed catching the sunset and party at Scorpios, which is on the other side of the island. Caprice (on Little Venice) is also a lot of fun for dancing and drinks! If whitewashed villages, tzatziki & feta are your thing... you have to go to Mykonos!